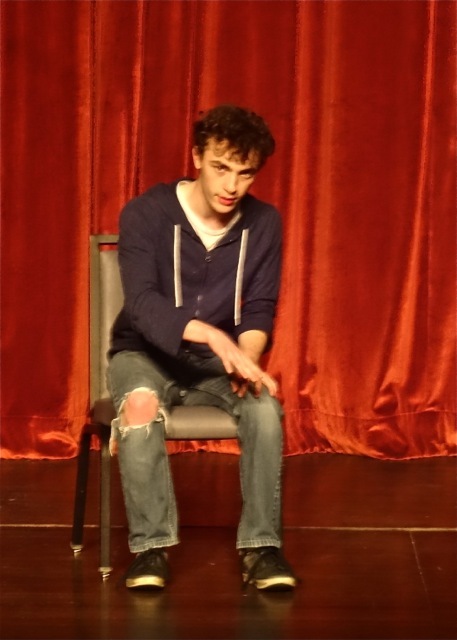 Taran Haynes performs a monologue from A Very Modern Marriage at the 2014 Last Frontier Theatre Conference. MATHEW passionate and overly dramatic. 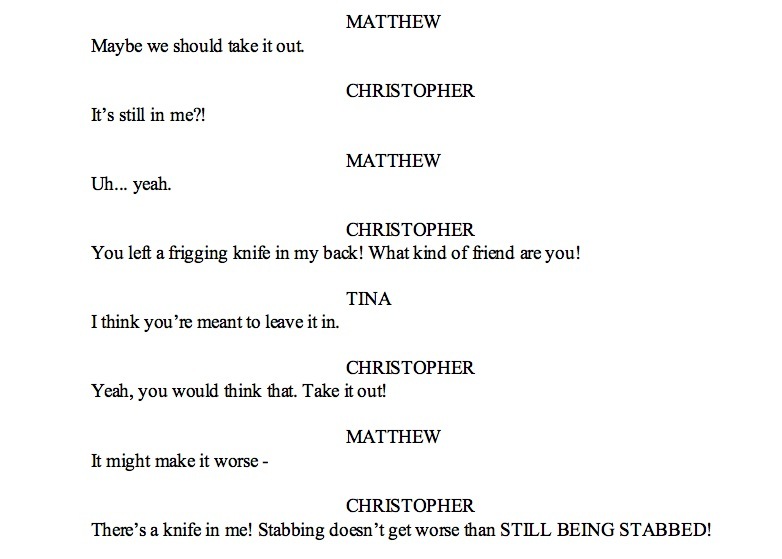 Genuinely in love with Tina, genuinely attracted to Christopher - although Matthew doesn't admit this even to himself. TINA keeps a good heart well hidden. She, more than the other two, struggles in a trap she has chosen for herself. CHRISTOPHER wears a flamboyant persona like a cape - that sometimes slips to reveal his true self. He's no stereotype - but he plays the role of one when it suits him. Matthew and Tina's marriage is already on the rocks... when Tina's friend Christopher moves in with a secret agenda to get Tina out of the picture and steal Matt's heart once and for all. 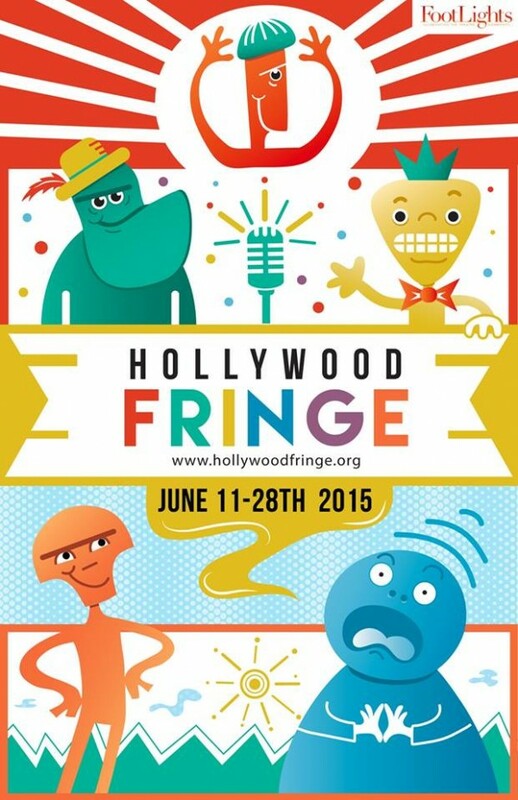 The premiere of A Very Modern Marriage at The Hollywood Fringe Festival, 2015. 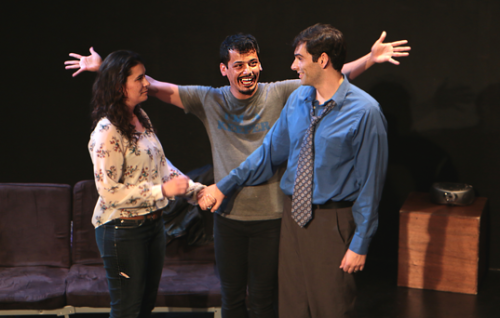 (L to R)Deborah Jensen, Esteban Andres Cruz and Donal Thoms-Cappello. In A Very Modern Marriage, we meet Matthew and Tina on the night of their wedding anniversary, which Tina forgot and Matthew didn't mention so that he could bring it up at the perfect passive-aggressive moment. Into this messy argument of a marriage comes Tina's GBF (gay best friend) Christopher - who has left his boyfriend and needs a place to stay. 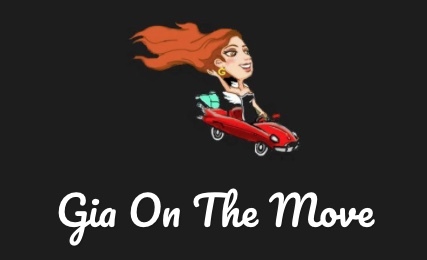 His arrival will shake up their marriage, and revive Tina's failing business, but his secret goal is to banish Tina from Matthew's life and slide neatly into her place. Torn by both love and resentment for Tina, and his suppressed but growing interest for Chris, Matthew struggles in a rapidly escalating battle that comes to a head when Tina walks in on their first kiss, and tries to shoot Chris but misses and gets Matthew instead. From there... things only get worse. Ultimately, love conquers all and everyone lives happily ever after... just not in the way you expect! The play was a semi-finalist for the Eugene O'Neil Theatre Center Playwright's Conference, a selection for the Last Frontier Theatre Conference, a top ten finalist for the Actor's Theatre of Charlotte's nuVoices for a nuGeneration New Play Festival, and was workshopped in IATI's Play Development Program in New York, with a public reading in April of 2014. 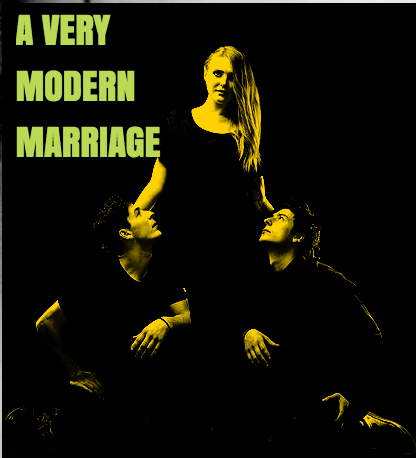 It received an honorable mention in the Ohio State New Play Contest, and was an evening performance at The Valdez Last Frontier Theatre Conference in Alaska in 2017. 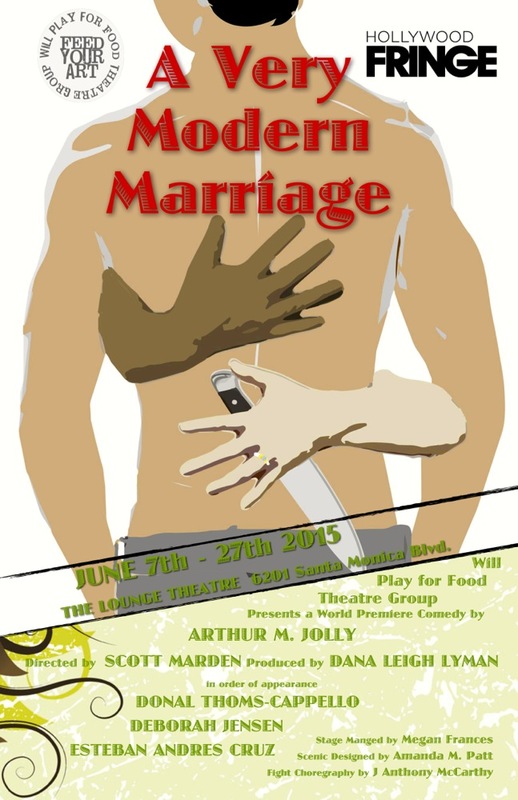 The play premiered in June of 2015 at the Los Angeles Fringe festival, directed by Scott Marden and produced by Will Play for Food Theatre Company. 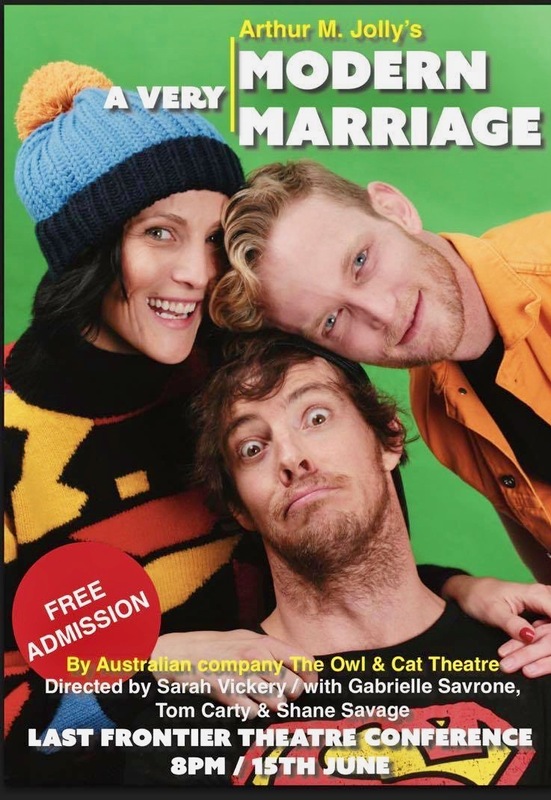 The Australian premiere was at the Owl and Cat Theatre in Melbourne, July 26th, 2016, directed by Gabrielle Savrone. 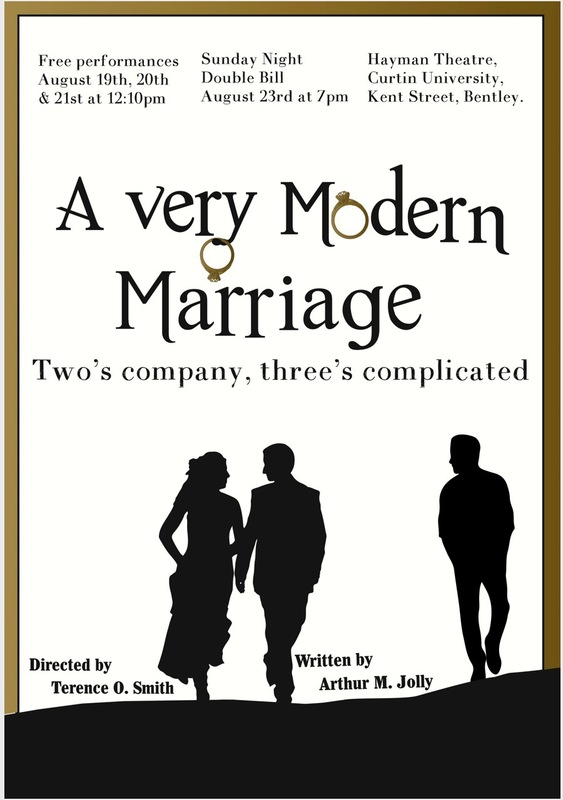 This production subsequently traveled to Alaska as an evening performance at the Valdez Last Frontier Theatre Conference, directed by Sarah Vickery. To inquire about producing this play, please contact me, and if you'd like to get a feel for it - try reading the monologue available here.